‘Joker’: First Poster Wants You to Put on a Happy Face!! Check It Out!! | Welcome to Moviz Ark! 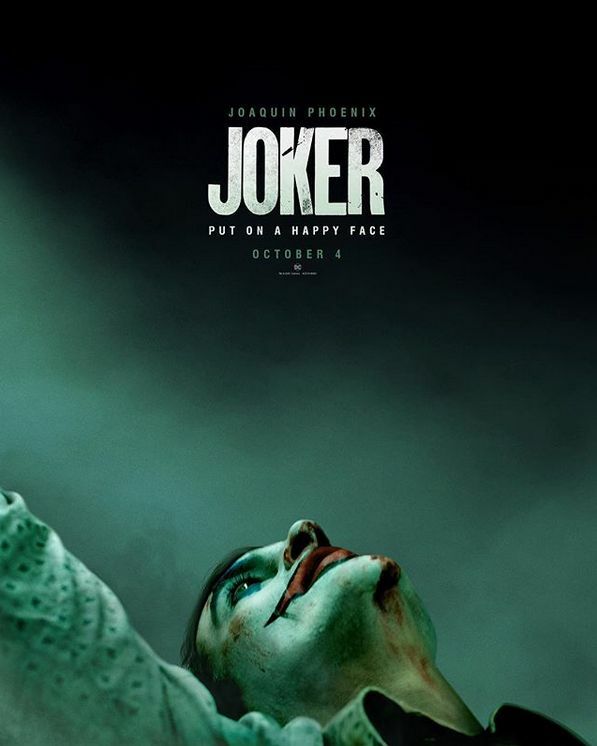 ‘Joker’: First Poster Wants You to Put on a Happy Face!! Check It Out!! Director Todd Phillips has posted the first poster for Joker on his Instagram page. The upcoming drama is a character-driven study of the famous Batman villain that stars Joaquin Phoenix in the title role. Details on the plot are still scarce, but the origin story is supposed to be akin to films like The King of Comedy and Taxi Driver. What’s fascinating about this first piece of marketing is how it sets the tone for how they’re going to sell this movie. This is a far cry from a character poster for Jared Leto in Suicide Squad or even Heath Ledger in The Dark Knight. You don’t even get a look at the character’s stylish purple threads. In fact, the only clue you even have that this is the same Joker of the comic books is a glimpse at the clown makeup and the very tiny DC logo. All of this indicates that this movie is not aimed towards a traditional comic book audience, or at least not towards people who will see every comic book movie no matter what. Instead, there’s a more dramatic bent with this poster, and once again I’m reminded of Logan, which technically features a comic book character but it’s really a drama. Although Joker will have its own hurdles in convincing an audience to turn out, a well-crafted marketing campaign could certainly do wonders for this movie, especially with an October release date that turned out very well last year for Venom. Check out the Joker poster below and come back tomorrow to get a look at the teaser trailer. The film hits theaters on October 4th and also stars Zazie Beets, Robert De Niro, Marc Maron, Shea Whigham, Frances Conroy, Bill Camp, and Glenn Fleshler. ← ‘The Curious Creations of Christine McConnell’ Cancelled by Netflix!! !